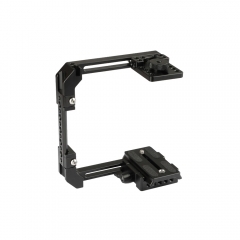 • Work with Sony A6500, A6300 and A6000. 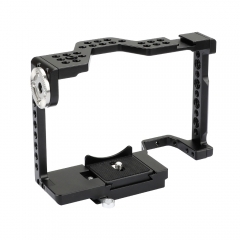 The cage is a protector and also a mounting platform for Sony A6500, A6400, A6300, A6000. 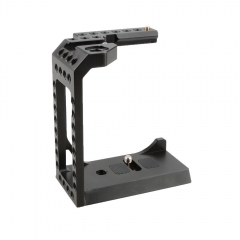 QR baseplate mount base: composed of a Arca-Swiss standard plate pack, four-hole rod clamp, tripod mounting plate, and two short rods (50mm in Length). 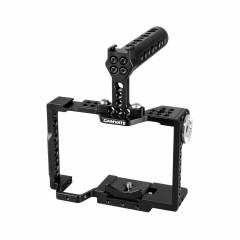 The quick release structure allows effortless switching. 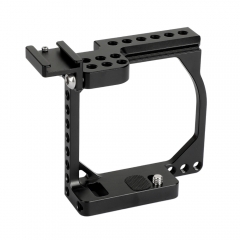 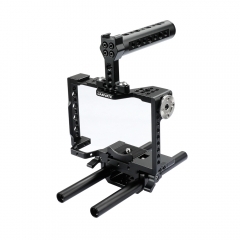 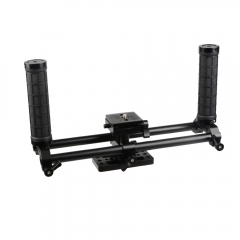 It allows rod attachments for matte box, lens support and follow focus, etc. 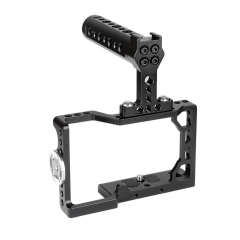 The adjustable height of rail can be up to 25mm.